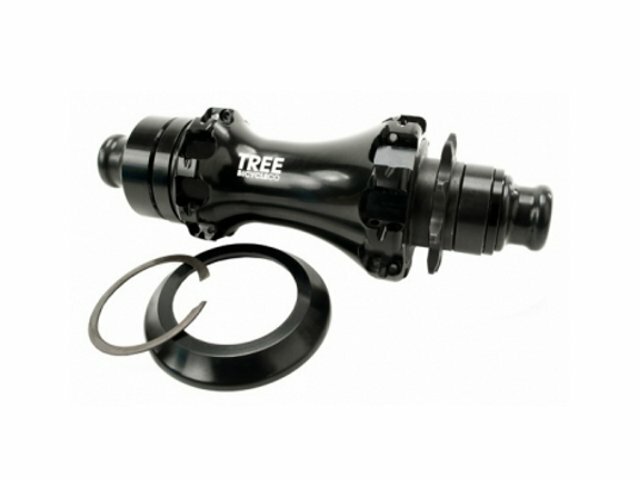 The Tree Bicycle Co. "Straight Pull" Cassette Hub is a thought-out and you can feel this on any detail of this hub. A hubguard is for example integrated and the 7075-T6 alloy body is very light but also solid. Please take notice that you on lace the Tree Bicycle Co. "Straight Pull" Cassette Hub five time crossed to your rim. If you don't do this properly a solid wheel can't be assured. To lace this nice hub into your rim you will need these special Tree Bicycle Co. "Sraight Pull" Spokes.